The 2016 Chrysler 200 may be the automaker's best midsize sedan on the market, and for those buyers who seek a state-of-the-art sedan that pushes the limits of what a car can do, this is the vehicle to see. The Chrysler 200 delivers a sporty and aggressive exterior design, a roomy interior and offers enough powertrain to leave the competition scrambling to keep up. At Greenville Chrysler Chrysler, we carry a vast inventory of all things Chrysler, including the 2016 200 sedans. When you are ready for a test drive or to see the Chrysler in person, we are located in Greenville, TX and serve car-buyers from the Rockwall, Commerce, Bonham, Paris, Sulphur Springs, and Tyler areas. Our team of customer service experts are waiting to meet your needs. If you are a driver who loves to be out on the road, the 2016 Chrysler 200 is a sedan with enough power and handling to keep up with your active lifestyle. The vehicle drives like a dream, offers a spacious and inviting interior, and will turn heads when out on the road. 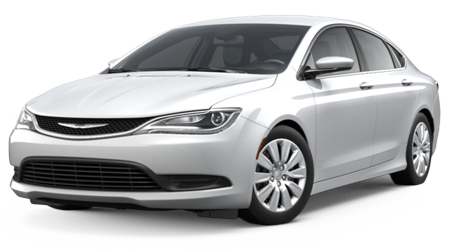 At Greenville Chrysler we want nothing more than to get you in the right version of the Chrysler 200 at the right price. Visit us in Greenville, where we serve buyers from the Rockwall, Commerce, Bonham, Paris, Sulphur Springs, and Tyler. Located at 5401 Interstate Highway 30, Greenville, TX 75402, our knowledgeable team Chrysler representatives are ready and waiting to help meet your every car-buying need.